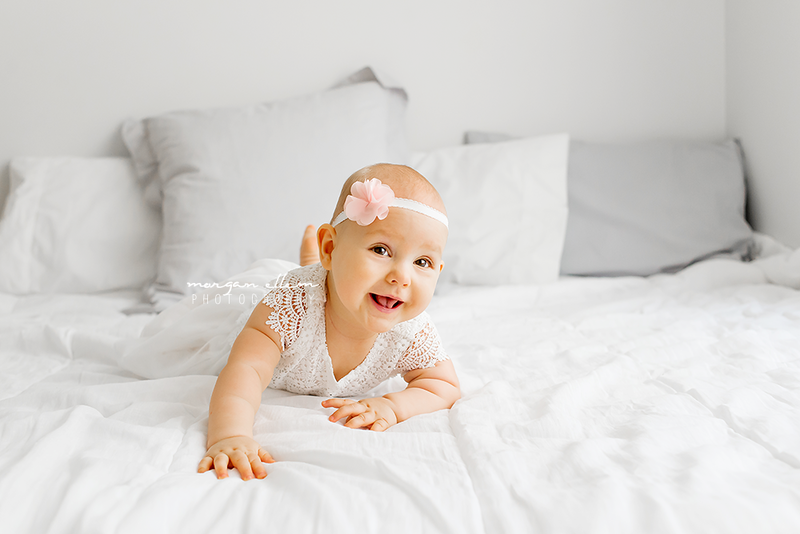 Precious little Hattie came in to the studio today for her 8 month Milestone Session - and she is just as cute as ever! Not a lot has changed with her appearance - still waiting for that hair to grow! But her little personality has really grown and definitely shone through for her photos this morning. Super inquisitive, cheeky and determined - I can't wait to see this beautiful family again at their next session!